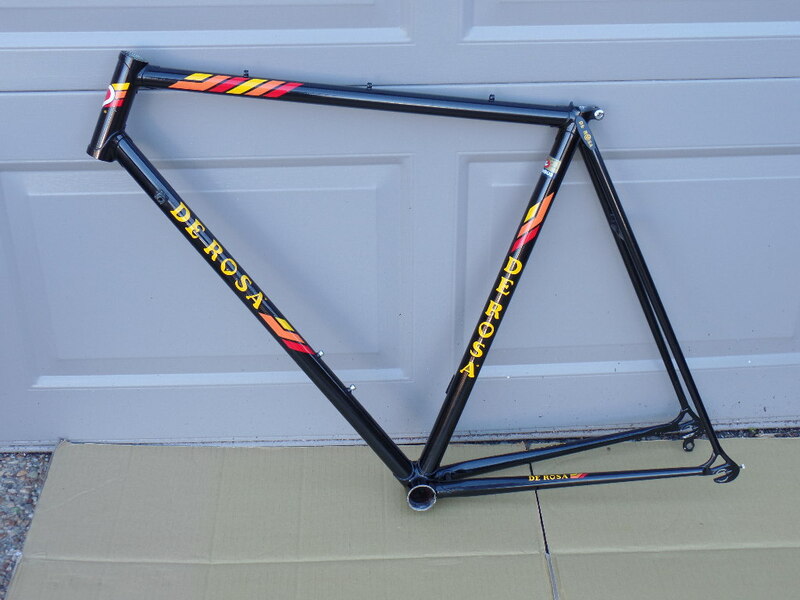 While poking around in the classifieds thread I stumbled upon this De Rosa frameset. After a few inquiries it became mine. I purchased it from a very nice forumite across the hall. It has the iconic Sammontana team paint and looks killer. I'm thinking this is an '83 De Rosa Professional. 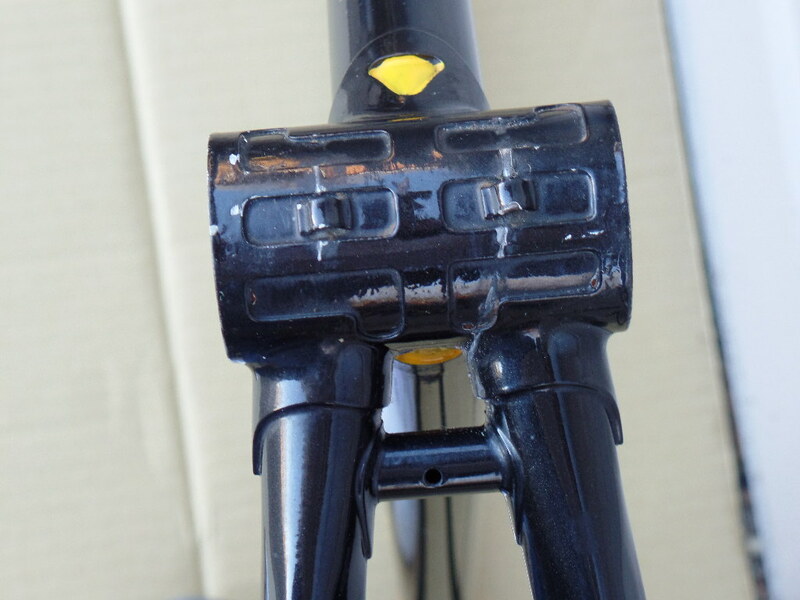 The lugs look right and the sloping fork crown is consistent with that year. I have not received it yet and only have a bunch of photos but some friends have questioned the authenticity of the paint. We seem to think it's original but there are a few over spray areas that might prove this is a repaint. This frame is an odd bird because most of these seemed to have chrome forks and chain stays. It only has one set of bottle cage bosses. 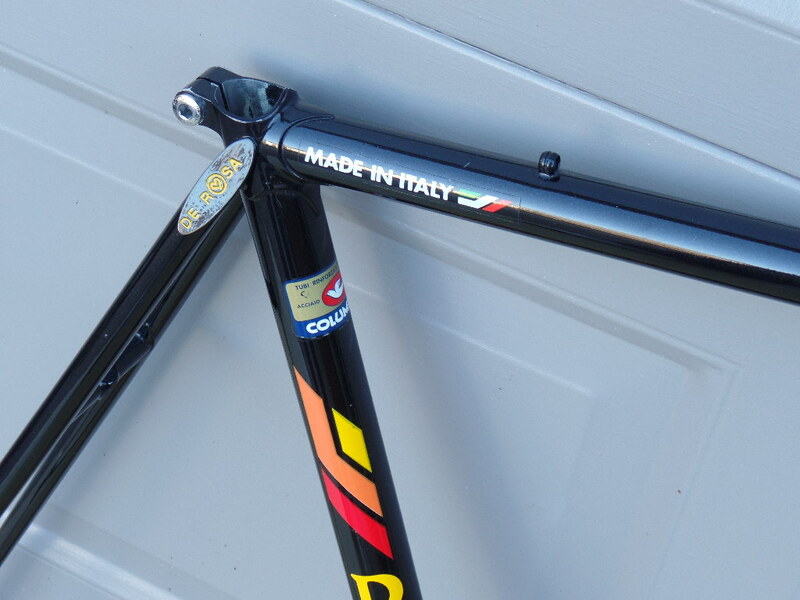 The "Made In Italy" decal was initially a red flag but I have seen it on a few other 83 Professional frames. 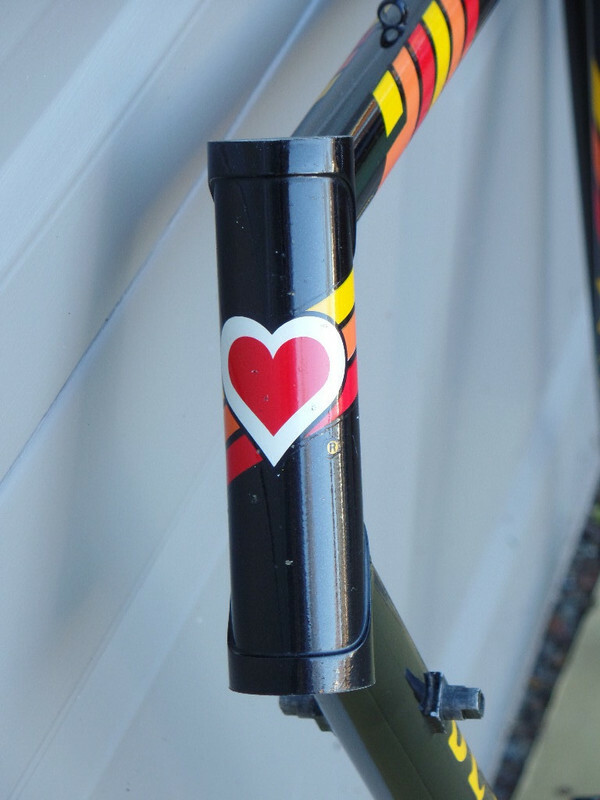 I thought it might have been added later but the chevrons match the De Rosa chevrons. I'm thinking this frame was made for export to the U.S. and might have been sprayed here much like Torelli does. Back then dealers like Ten Speed Drive Imports would paint them to order hence the "crappy 80s italian paint" problems. Either way I'm stoked for this one. 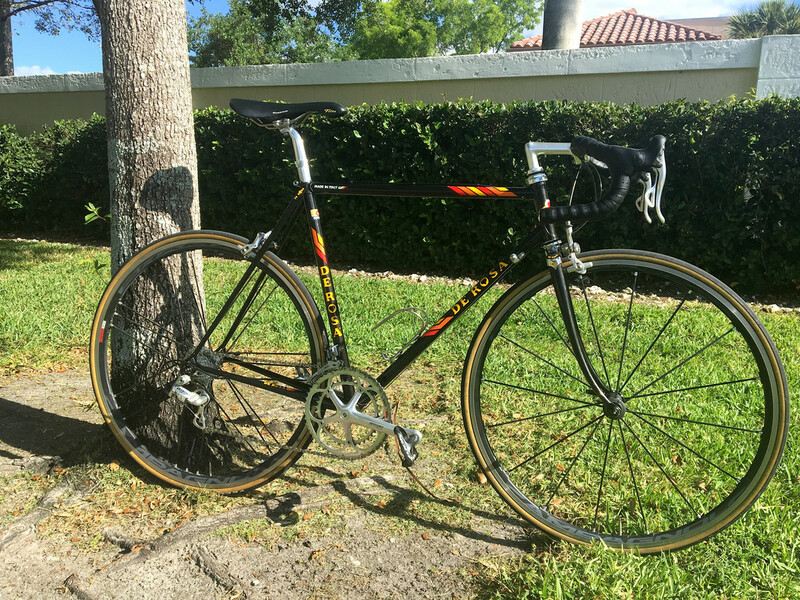 It's an old school Columbus SL De Rosa in fantastic shape and I got for a very nice price... Thanks Bob. The frame arrived last week, looks great. It's a really nice glossy black and looks legit to me. I'm waiting on a few bits to arrive and should have a build pic in the next week or so. I finally collected all of the parts and sorted the build out. Hoping to have build pics tomorrow. It just needs cables and a few tweaks. A quick build pic as promised.. It's kind of anti-climactic posting after those killer Gaulzettis up above but still a sweet ride. Looking good and pretty much dialed in. I only took a quick spin around the 'hood but it feels real good. It's surprisingly not too heavy as built and rides with a nice nimble feel. I'm planning to put on some real road miles this weekend. Very well done Artie. Looks proper. Giro Rosa - Who's following ? 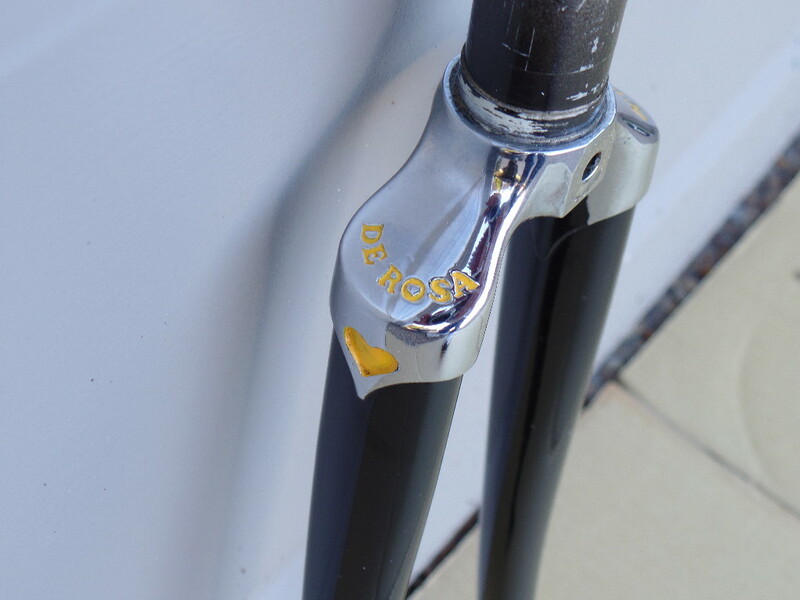 help dating a De Rosa? 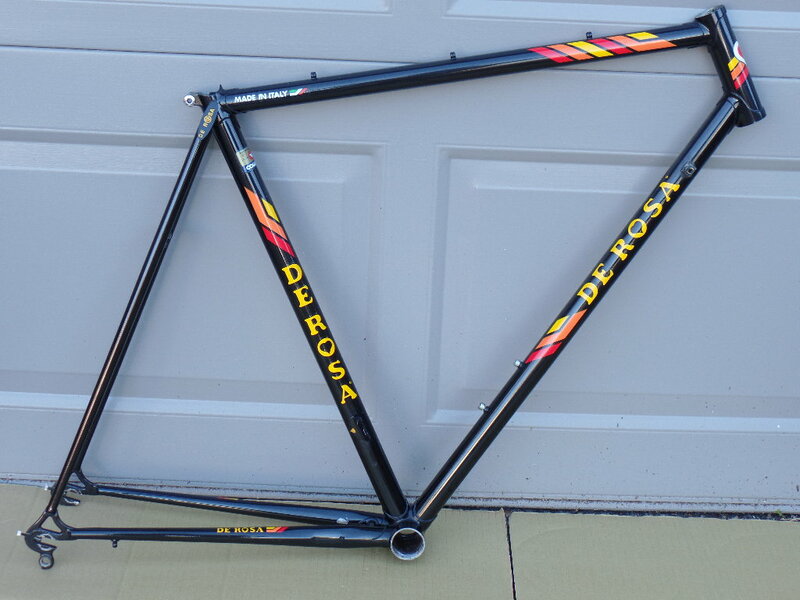 Does anyone have a De Rosa Neo Primato?